Looking for a home for sale in El Cajon? 2950 Fletcher Parkway is a 17 minute walk from the Orange Line El Cajon - America Plaza and the Sycuan Green Line Santee - 12th & Imperial at the Amaya Drive Station stop. 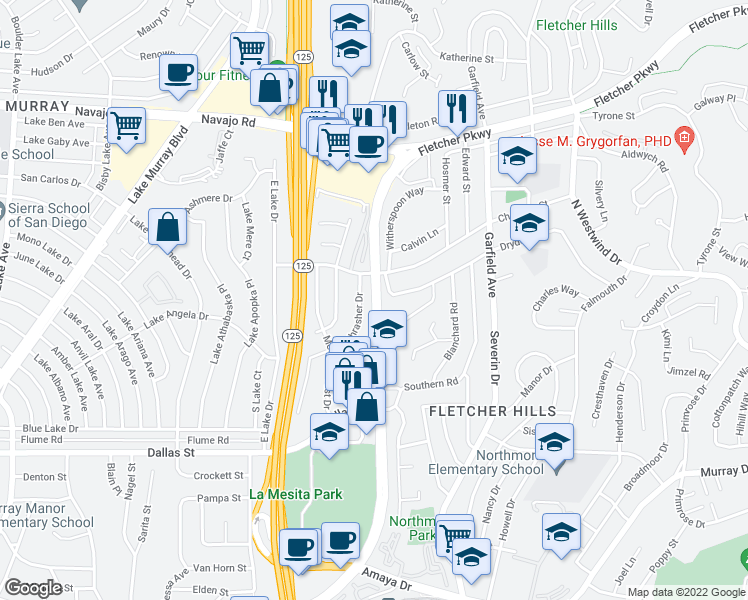 View all El Cajon apartments on a map. Search for homes in El Cajon or find a El Cajon real estate agent who knows walkable neighborhoods. Links will open on our partner site Redfin.com.